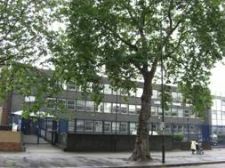 GCSE league tables released this week revealed that Lubavitch Senior Girls School (LSGS) is the best performing school in the London Borough of Hackney and the only secondary school in the borough where 100% of pupils achieved 5 A*-C grade passes in their GCSEs. Official figures showed that more than 30,000 London teenagers failed to achieve the minimum of five C-grades including English and Maths; with an estimated 19 state comprehensives failing to provide an acceptable standard of education. However, this is not the case for Lubavitch senior Girls School who have gone from strength to strength over the past few years. Rabbi Shmuel Lew, headmaster of Lubavitch Senior Girls School said: "These results reflect the incredible dedication of Head Teacher Mrs Freeman and our staff, and our pupils' focus. Our pupils are a credit to the values which LSGS instils in them." Rabbi Bentzi Sudak, chief executive of Chabad Lubavitch UK said: "This is a huge achievement for everyone involved at the school. The quality of teaching is second to none and this achievement is a testament to the teachers and staff who have helped Lubavitch Senior Girls School reach such a milestone. Not only has the calibre of education improved over the past few years but so has the expectation." "We are delighted with these results, which are the result of a combination of confident, empowered pupils and dedicated highly skilled staff. You have to bear in mind the girls also cover a full Jewish studies curriculum. I think this actually helps them get down to work when it comes to the national exams."